The Golden Eagle is among the most powerful avian predators in North America but is currently facing many new challenges. These challenges are especially serious in the sagebrush-steppe environments of the American West. Once the most widespread native environment in North America, the sagebrush-steppe is now among its most fragile. With increasing need for resources due to an ever growing population, this habitat is most at risk for a multitude of development opportunities. This translates to thousands of acres lost to the various species that call this unique environment home. By 2080, the Golden Eagle is projected to lose 41 percent of breeding habitat and 16 percent of non-breeding habitat. Whether this apex predator will keep pace with an increasingly fragmented breeding range is uncertain. These are just a few of the conservation issues addressed in the much larger theme. 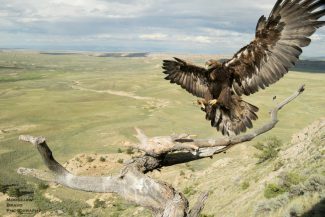 Monarch of the Skies: The Golden Eagle in Greater Yellowstone and the American West is an exciting, new exhibition that will immerse you, the visitor, in the sagebrush grasslands of Wyoming through recreated sandstone cliffs and other habitats. 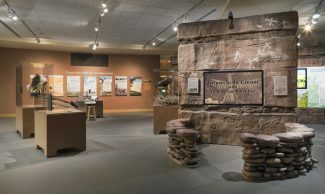 You will experience stunning video and photography as well as taxidermy mounts, models, Native American cultural materials, rock art, and engaging interactive elements. 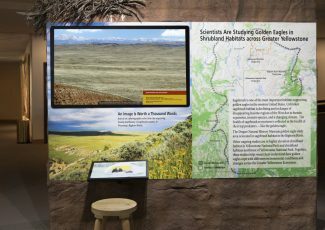 The exhibition provides a dynamic platform for educational programming about sagebrush-steppe landscapes and the wildlife. 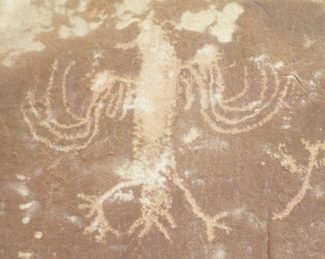 Additionally the people that have traditionally called this place home, and who continue to have cultural associations with eagles and the other wildlife. Also highlighted is the process and importance of scientific problem-solving. Monarch of the Skies opened to the public in June of 2018, and is a permanent extension to the Draper Natural History Museum Alpine-to-Plains Trail exhibit experience. It occupies the Draper’s lower level, adjacent to the Plains/Basin Environment, the Greater Yellowstone tile map, and the Draper Discovery Laboratory. 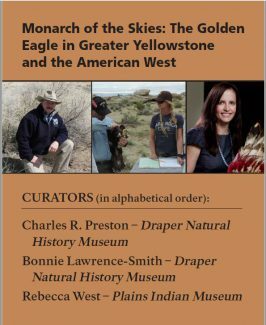 Monarch of the Skies was and continues to be a collaboration between the Draper Natural History Museum, the Plains Indian Museum, and dozens of golden eagle researchers across the Western United States. 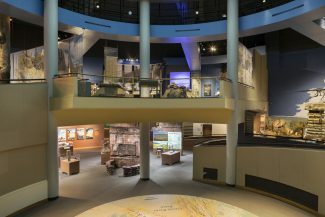 Come see us at the Buffalo Bill Center of the West and see how it all came together! 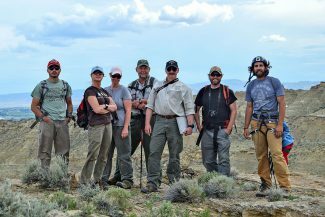 Members of the research team (L-R): Nate Horton, Bonnie Smith, Melissa Hill, Richard Jones, project director Charles Preston, BLM wildlife biologist Destin Harrell, and Nick Ciaravella. Moosejaw Bravo Photography. 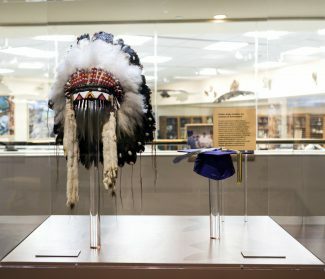 To read more, check out A New Exhibit has Landed in the Draper Natural History Museum.